Groups can design a package from the following choices. 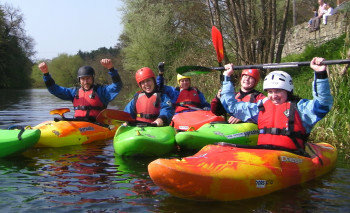 The single day course follows the Canoeing Ireland level 1 syllabus, giving a basic introduction to boat control and movement in a safe environment. This is ideal for anyone who wants to learn the very basics without committing to a longer course. All equipment can be provided and courses run from our purpose built Training Centre.